DISCUSSIONS regarding Mining Charter guidelines are proving to be an uneven process, said the Minerals Council of South Africa. “I wouldn’t want you thinking that everything is hunky-dory,” said Andile Sangqu, a vice-president of the Minerals Council and head of Anglo American South Africa at a media lunch on November 9. “But it’s the narrative that’s important. “We are in a much better space than we’ve been in for quite a while. We wouldn’t be having this conversation then,” he said in reference to the mining sector’s relationship with the South African government a year ago when Mosebenzi Zwane was its mines minister. The consultative approach of Gwede Mantashe, current mines minister was lauded by Sangqu. Said Roger Baxter, CEO of the Minerals Council: “We have been consulting as stakeholders on the guidelines … Tripartisan negotiations are in the DNA of the mines minister [Gwede Mantashe]. So that’s been important”. Mantashe said in September that the government would hold a 60-day negotiation period to hammer out guidelines that would provide more detail on how elements of the Mining Charter would be implemented, especially its new constituents such as a requirement for a community and employee carried interest in the event of new mining right applications. Neal Froneman, CEO of Sibanye-Stillwater and a council vice-president, said at his firm’s third quarter results presentation earlier this month that the Department of Mineral Resources (DMR) was likely to take a case-by-case approach on applying the conditions of the Mining Charter as the focus of government was on job creation and investment. Sangqu agreed that Mantashe’s DMR would keep an open mind on how applications for mining permits were handled, but the negotiations were not a perfect process. “You have to remember that Mantashe has inherited a department so you sometimes get mixed messages from the DMR officials. Sometimes you think: ‘Are your officials on the same page as you minister’?”, he said. There was no visibility yet on whether the DMR would see through a planned appeal on a High Court judgement which found that past empowerment deals would be recognised. “The appeal on the declarator has not been taken forward. They [the DMR] haven’t yet submitted papers and we don’t know if they will proceed,” said Sangqu. The charter has drawn differing views following its redraft and gazetting on September 27. The DMR dropped demands for a 1% pretax dividend in the Mining Charter, but it retained a requirement for more community and employee participation – described as a carried interest – the modalities of which have yet to be defined. Speaking to Miningmx last week, Graham Kerr, CEO of South32, acknowledged the improvements that had been made but he said the charter still failed to go far enough to attract new investment. 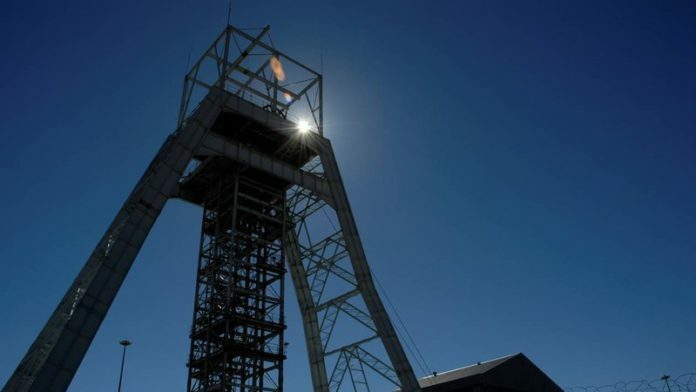 “We believe this legislation is still a better outcome for South African mining risk premia than is currently reflected in South African mining share prices,” said JP Morgan Cazenove analyst, Dominic O’Kane – a view shared by Investec Securities. But other analysts have slammed the document. According to Paul Miller, MD of CCP 12J Fund Limited, the Mining Charter had “… set a trajectory of progressive, creeping expropriation of investors’ returns”. Peter Major MD at Cadiz Corporate Solutions, described the Charter as a ‘manifesto’, and said none of the investors he had shown it to in the United States and Canada during a recent trip “… had been able to get past page four”. A major issue is the total disconnect between regional offices and Head office. For example, the Minister announced that BEE is not required for prospecting anymore. However, thr regional offices still issue instructions that BEE credentials must be supplied else the application will be recommended for refusal. The problem is the total ineffectiveness of the Head Office Branch. The DDG and the Chief Directors should ensure that Regional Offices implement policy created by the Minister. But they just give him no support in policy implementation. The anti-Transformation brigade will rumble on…….BUT I SAY : No BEE no PR or MR! And I say, DMR must implement the policy as provided by the Minister in a uniform manner throughout all Regions. Investors require surety in respect of policies and implementation thereof. Nothing anti-transformation about that.